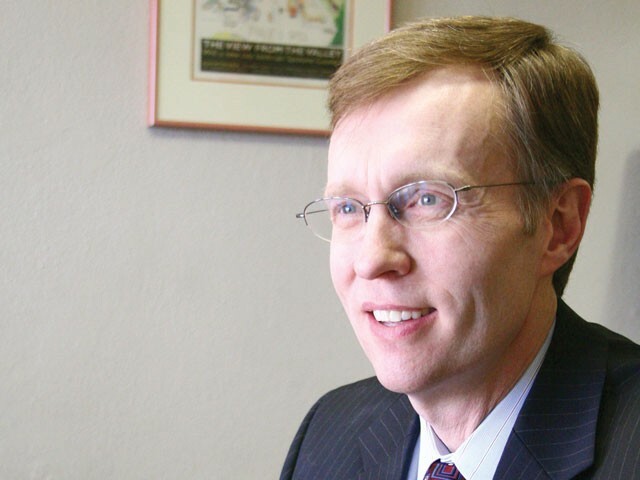 In 2004, Gonzaga student Jacob White only signed up for Larry Weiser’s Gonzaga Law Clinic class because his grades weren’t quite good enough to get into a law firm. He never expected to find himself arguing for the voting rights of felons in federal court. He never expected that, thanks to a recent Ninth Circuit decision, the case would be heading toward the U.S. Supreme Court. The story began 14 years ago, when Muhammad Shabazz Farrakhan, a black felon at Walla Walla State Penitentiary, sued for the right to vote from prison. In Washington — as in every state but Maine and Vermont — felons legally can’t vote while incarcerated. Judge Robert Whaley asked Weiser — and his clinic — to come to Farrakhan’s aid. As the case has ping-ponged up and down Washington courts, more than 25 different Gonzaga students helped refine it. Through the entire summer of 2000, student Jason Vail spent 40 hours a week ensconced in the Gonzaga Law library, developing an argument he found in a 1993 Harvard Law Review article: Because of the inherent discrimination of the state’s justice system, the thinking went, denying prisoners the right to vote violates the 1965 Voting Rights Act. Back in Jim Crow days, Southern states adopted hurdles like “poll taxes” and “literacy tests” to prevent blacks from voting. The Voting Rights Act was passed to prevent such shenanigans. About 37 percent of state felons are minorities — far higher than the 11.6 percent of minorities in the general population. “In France, and Spain and all these other countries, prisoners have the right to vote,” Weiser says. But as Vail drafted the brief, he had a major challenge: Across the country, in court after court, the Voting Rights Act argument had been dismissed. But by specifically separating voting disenfranchisement from the prison punishment in his arguments, Vail hoped the court would give it a chance. When Vail walked into a federal courthouse in 2000, he’d never been in any sort of courtroom before. “Federal court is a pretty serious place,” Vail says. “It is kinda crazy to say, ‘Here you are, let’s do this thing.’” White reports a similar experience in 2006. For a week before presenting the case, he met the NAACP Legal Defense Fund counsel Ryan Haygood, running through the case a dozen times. At first, it seemed like they’d lost the case. But after an appeal, the Ninth Circuit, in a split decision, announced that, indeed, denying felons the right to vote was illegal. “The most amazing part of the case was for the Ninth Circuit to recognize that in our society that a criminal justice system has a bias against minorities,” Weiser replies. That could have massive repercussions. When the ruling came down, Attorney General Rob McKenna immediately said he would appeal. Next stop: the Supreme Court. The court doesn’t have to take the case, but with the national Circuit courts dramatically split on the issue, both parties agree that Supreme Court arbitration is likely. The second disputes the notion that the legal system is inherently discriminatory. The studies they used were too narrow, Even says, too focused on King County. Not enough to prove causation. Today the former law clinic students read about the case’s developments in the newspaper. Friends e-mail them the latest decisions. White’s now a lawyer in Olympia. Vail’s the director of the American Bar Association’s National Military Pro Bono Project. “It was the one real rewarding part of law school I looked back on,” White says.